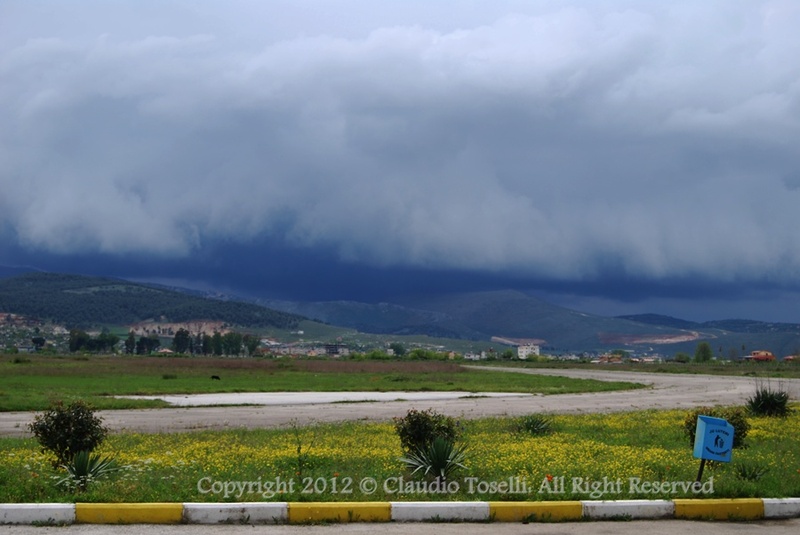 Kuçovë airfield (also known as Baza Ajrore Kucove, Berat-Kuçovë airbase or Bezat-Kuçova, ICAO: LAKV) is an air base 65 kilometers south of Tirane. Construction of the airfield began in 1952 and took 3 years to complete. At the time of its construcion it was planned to provide an air base for the south of Albania, covering the oil fields around Qyteti Stalin (Stalin City, todays Kuçovë). 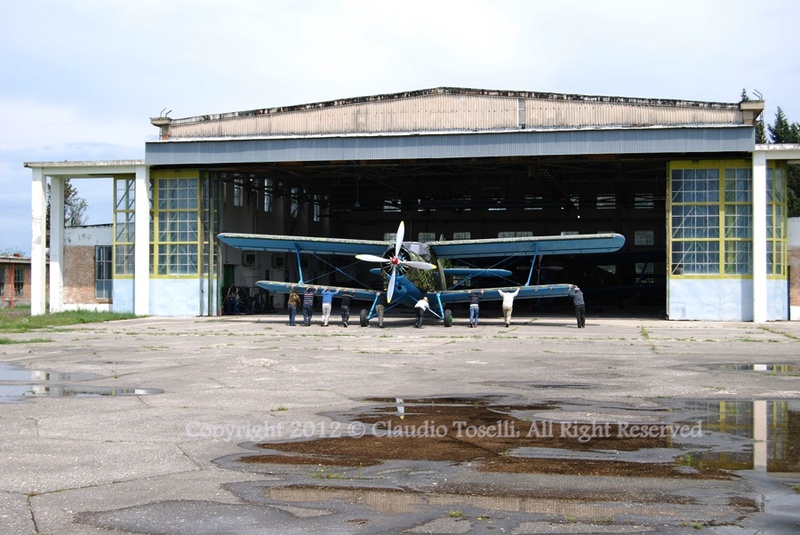 The new aerodrome was inaugurated on 15 May 1955, and became the home base of 23 Fighter Regiment "Peza". The first Regiment commander was Colonel Niko Hoxha, who fell in the line of duty a few years later. Soon, the Regiment began its operational tasks, operating the MiG-15bis fighter (NATO: 'Fagot') and MiG-15UTI two-seater trainer (NATO: 'Midget') version. In July 1957, the airfield began operating the Il-28 'Beagle' bomber. After breaking the relations with the USSR in 1960, all aviation and air bases faced difficulty, both for spare parts and for fuel. However, in collaboration with the laboratory specialists of Kucova oil, a working group was set up to test and produce a special kerosene TS-1. Within a year, with the help of chief Stefan Kongjini, they successfully produced kerosene TS-1. For maintenance, construction began in 1966 on an aircraft repair plant, which became the backbone of aircraft parts production. 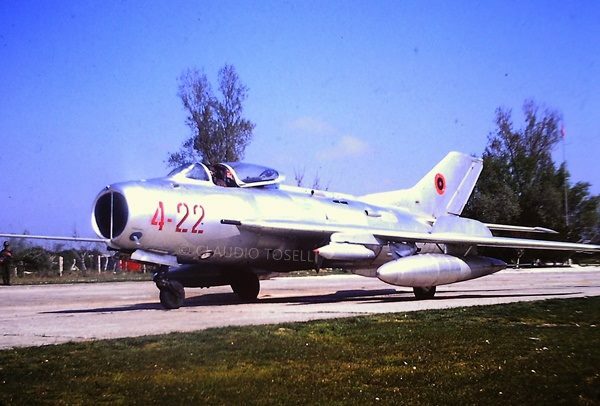 Over the years, the plant successfully managed to produce spare parts to completely revision of all Albanian fighter aircraft (types such as MiG-15, -17, -19, and-21, or rather: their Shenyang copies). In April 1966 a MiG-17 squadron was added to the base. At the eastern end of the 09/27 runway, an underground shelter complex was built, large enough to hide the resident fighters from air attacks. On 10 March 1997, the base was occupied by violent demonstrators and most of the infrastructure was severely damaged. It took the Albanians until 1999 to return the base to a form of normality. During 2002-2004 it was upgraded to full NATO standards with a new control tower, resurfaced runways and new lighting. 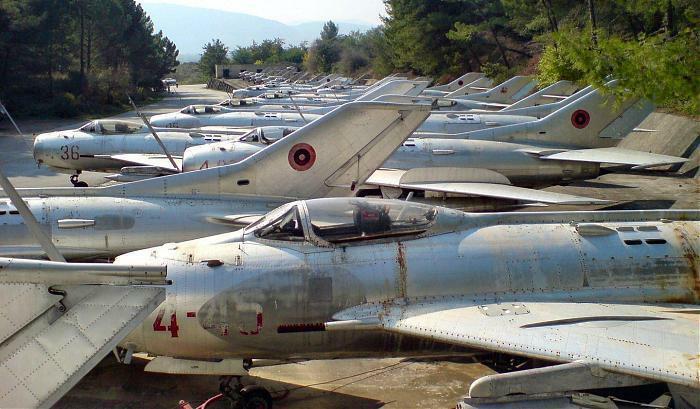 All the MiG-15bis aircraft based here were retired in 2002 and placed in storage in a large shelter constucted inside the mountain bordering the base to the east. In the west, the air base is probably best known for it's part in the 6 February 2011 Albania Special (if you are in a hurry, go to 47:30min) of the BBC program Top Gear. For years, it was the location where Albania stored its old jet fighters after having withdrawn them from front line service. Today (2014) the Kuçovë Air Base seems to have suffered the fate of its sisters across the country, although a part of the site is limited operational to this day, even more limited in service and personnel and bound to be forgotten! As the Albanian Air Force no longer operates any fixed wing aircraft, it currently is only handling helicopters. The Italian Air Force has a detachment operating at the airfield, teaching the Albanian Air Force how to serve as a Host Nation Support Air Base for NATO. Han de Ridder visited Kuçovë airfield in the summer of 2014 and came back with this impression. In the summer of 2018, Prime Minister Rama announced that NATO would invest more than 50 million Euros just in the first phase of the modernization of Kuçovë Air Base. Through this project, Kuçovë will serve as a support base for NATO providing air transport, logistical support, and support with air policing; as well as support for training and coaching.